New Zealand circa 1920. 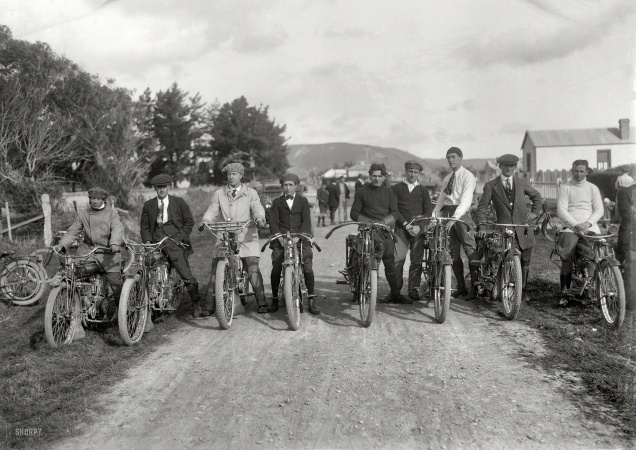 "Young men on motorcycles, probably Wanganui region." 30×24 INCH SPECIAL EDITION print on Moab Archival Photo Paper. 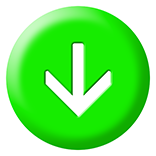 Minimum 1.5-inch margins: Image size for this photo on 30x24 paper is approximately 26.5 x 18.7 inches. Moab Entrada Rag Natural Finish. Weight: 300 gsm; Thickness: 22.5 mil. Shipped in a heavy-duty 5-inch-diameter fiberboard canister. Please allow up to three weeks for printmaking and delivery. Compared to the same print on 22x17 inch paper, the 30x24 print is almost twice as large; almost three times the size of the 13x19.